Flight LAS, the newest release from Flight by Canto, includes an impressive Slack integration, enhanced watermarking, new options, and more. Flight LAS includes new enhancements designed to streamline the digital asset management experience. Earlier this week, Canto released the latest update to their SaaS digital asset management (DAM) solution, Flight. The new release, Flight LAS, includes new enhancements designed to streamline the digital asset management experience. A new integration with the popular messaging application Slack was also introduced to help teams collaborate between both apps. 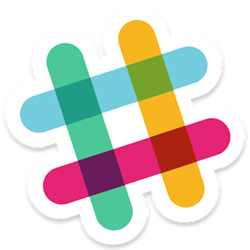 The Slack integration introduced in Flight LAS provides two ways for Flight users to interact with their Slack channels. Users can easily share assets from within Flight directly to a Slack channel of their choice, or Flight admins can set up a process for automatic notifications in Slack when specific actions are taken. For example, Flight alerts a Slack channel if a new file is added, shared, or if a user leaves a comment. For further information, read the Flight LAS Release Notes. To start your free Flight trial, visit canto.com/flight/signup/.